Gold can be found throughout Michigan. In addition to glacial deposits, there are also some known lode deposits that are found here. Lode discoveries have been made across the state, but most have been very low-grade, and gold production has been a byproduct of other mineral extraction efforts. Most placer gold found throughout Michigan is very small, and not in quantities suitable for commercial extraction. Due to the low volumes, not much exploration has been done on a large scale. 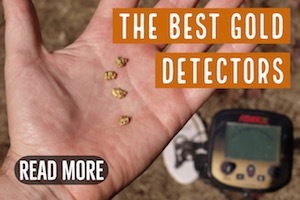 It is very possible for small amounts of gold to be recovered from just about any creek or river in the state if you use the proper methods to find it. The Ropes Gold and Silver Company Mine is west by northwest from Ishpeming in Marquette County by three to five miles on the north side of the Marquette Iron Range, and located in Michigan’s Upper Peninsula, is a very noteworthy gold location. It was the only major gold producer in Michigan. In 1881, Julius Ropes discovered gold in some rock outcroppings in the area, and formed the mine company to expand works on the discovery. Gold mining continued for decades, changing hands numerous times until it was closed in 1991. Ore values were generally low, but new extraction methods allowed the mine to remain active, though intermittently, for over a century. This is one of the few active mining operations of any significance that operated in this part of the country. Two miles northeast of the Ropes Mine are additional locations of gold that can be found. North from Ishpeming is the Dead River District in the Dead River Valley, which extends north to Lake Superior and for several miles west. About two and a half miles west of the Ropes Mine was the Michigan Gold Mine. 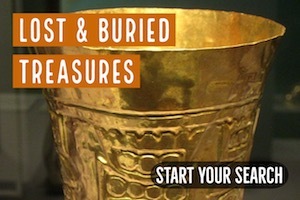 It produced some of the finest museum specimens of native gold from the area. Ore was so rich that “high graders” made a practice of stealing it during the peak production years of 1890. Just west of the Michigan Mine was the Gold Lake Mine. It also produced some fine native gold specimens. East of the Michigan Mine was the Superior Gold Mining Company Mine. It had limited production, but some excellent specimens were produced. Another proximate mine from Michigan Mine was the Peninsular Gold Mining Company. It produced gold in granite. Other prominent mines in the area during the 1890’s were the Grummett, Swains, Mocklers, Grayling and Giant Mines. In Marquette County, all regional stream gravels and glacial moraine debris contained placer gold. 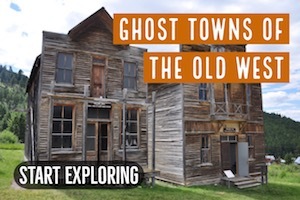 This made the county as the most prolific gold-producing area in Michigan. Several other streams located near the Ropes Gold Mine, where some of the old area prospect pits were situated, contained placer gold. Actually, any waterway in Michigan has the potential to hold gold. Below are some additional rivers and streams in Michigan that have produced gold in the past. Most of the streams and other waterways in the Allegan Township area have very fine placer gold. I created a printable-PDF report about gold in Michigan that you can print out and save for your records. It’s free. Click here to get it! Placer gold can be found in the gravel deposits all along the Antrim River. Sometimes there were occurrences of sizable nuggets. Placer gold exists in the low water gravels along the Boyne River in northern Michigan. The Little Traverse Creek and its tributaries have been found with gold. Some very fine placer gold can be found in the low water gravel bars around the area creeks in the town of Walton in Grand Traverse County. The Grand River, which is the longest river in Michigan that runs through the cities of Jackson, Eaton Rapids, Lansing, Grand Ledge, Portland, Lowell, Grand Rapids, and Grand Haven was found to have glacial gold deposits, particularly in the river’s portion in the county seat of Ionia, and in the Portland State Game Area south of Portland from Charlotte Highway in Ionia County. Another river with numerous placer gold deposit occurrences is the Mapre River. The 17-mile long Rapid River in Kalkaska County in northern Michigan produced gold in its gravel bars. Gravel bars along Ada Creek were reported to contain placer gold. It is also important to note that the area of the northern portion of Lowell Township in Lowell City have glacial moraines that possessed gold and can be retrieved through panning. Placer gold can be found in the area stream gravels around the township of Solon. North of Solon, placer gold can also be found in the gravels along the shore and stream tributaries of Leelanau Lake. There are several placer gold deposits along the Little Sable River and in the low water gravel bars in the Manistee River, all in Manistee County. In the Greenville City area, placer gold can be found by panning in gravels of all regional streams. Placer gold is also found in the area streams of Howard City. The 230-mile Muskegon River runs diagonally across Newaygo County, and has placer gold in all the exposed gravel deposits. 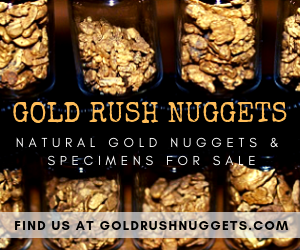 All the creek and stream gravels in the Birmingham area contained placer gold. 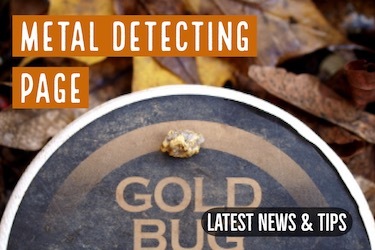 Some placer deposits that contained gold were reportedly found along the White River, from Montague City in Muskegon County to the town of Hesperia in the township of Newfield in Oceana County, as well as numerous other creeks in Oceana County. In the Whitehall Township area, most of its streams contained some gold. There are many areas that produce placer gold along the Flat River. 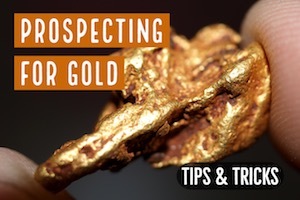 The Victoria Copper Mine, situated in Rockland Township, has promising gold showings with occasional nuggets of native gold. The area stream gravels around Grand Haven contained placer gold. Gold was said to be contained in the area stream gravels around the village of Burr Oak in Burr Oak Township. Around the town of Marcellus, in the boundary of Cass and St. Joseph Counties, all the streams contained placer gold.